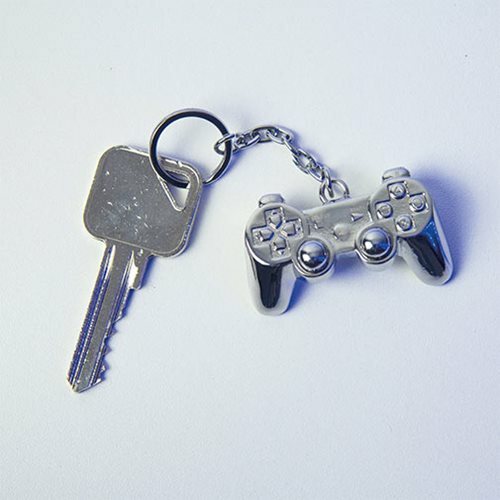 An iconic symbol for gamers, carry a mini version of the classic Dual Shock PlayStation controller with you wherever you go with this PlayStation 3D Metal Key Chain. A 3D chrome keyring with key chain attachment based on the iconic controller. 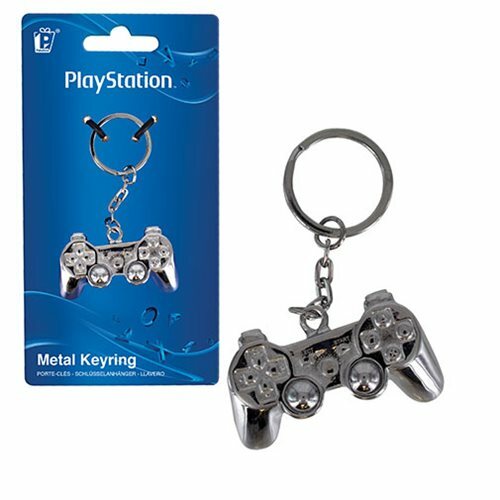 The PlayStation 3D Metal Key Chain is perfect for keys, or even ideal as a fun bag or backpack charm. The sleek black design takes its inspiration from the later generations of the popular PlayStation console. The PlayStation 3D Metal Key Chain makes a great gift for gamers of all ages.